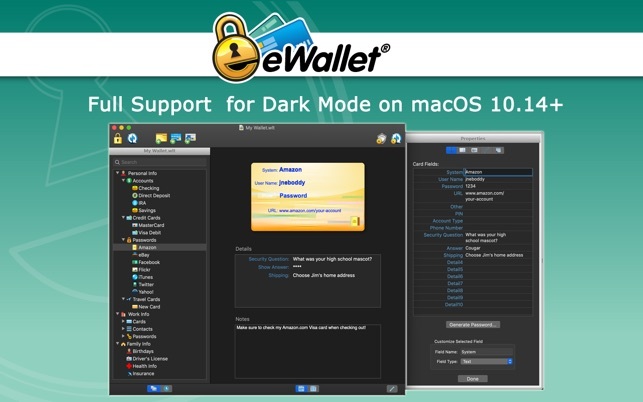 Lock your passwords, credit cards and bank account numbers behind military-grade encryption and have them organized and ready when you need them by installing the most sophisticated and easy to-use password manager on your Mac. 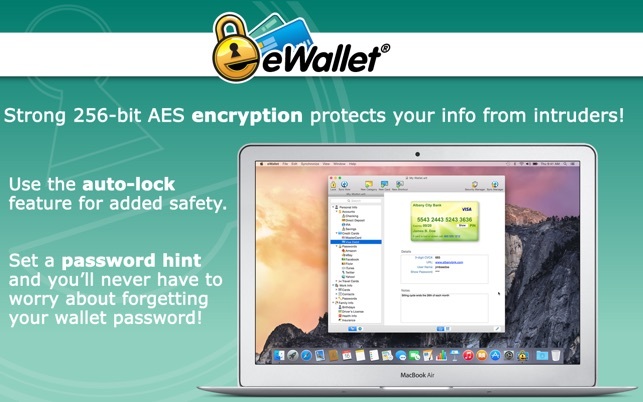 Stay safe, stay strong, stay smart with eWallet®. 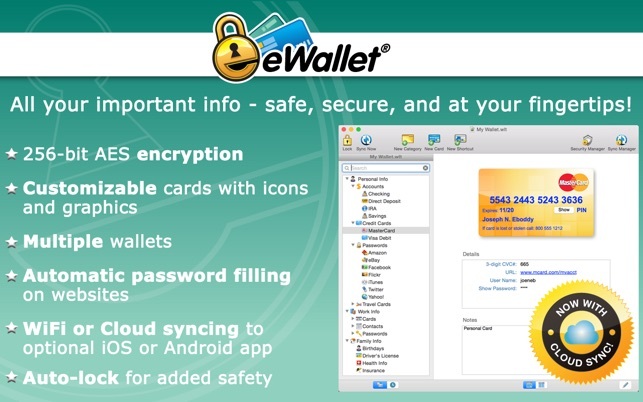 Your digital life is at risk if you aren’t using secure passwords, but you needn’t worry organizing and protecting sensitive information any more thanks to eWallet. 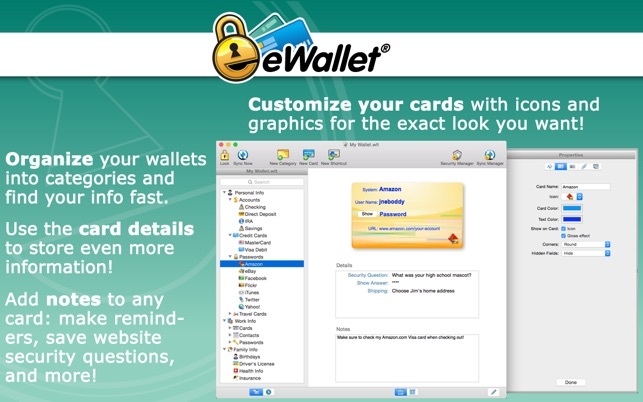 I’ve used eWallet for over 10 years on at least seven OSs and 10+ devices, and it hasn’t failed me yet. It is easy to install and add/edit “cards”. In addition to passwords I keep other personal information that I might need quickly. The folder organization lets me separate Personal from Business, and the card-like graphic image makes it visually interesting. It supports drag and drop to rearrange cards into different folders, and editing is a breeze. One of my favorite features is syncing via Dropbox. This means I can add or edit a card on one device, and all devices will automatically inherit the update. If you prefer to keep you data off the cloud, it is also possible to sync between two devices directly using WiFi. That was the only opton for years, and it works great. However, you need to manually initiate the sync and if you have more than two devices it can get a little crazy. I am currently using it on five devices. eWallet can do so much more than I am using it for, so definitely explore the possibiities. I’ve been usiing eWallet for over a year now. It functions perfectly. It comes with a bunch of pre-formatted, stylized record cards, for example some that look like virtual credit cards, but I like the simple, basic "note cards." it also has cards to hold images, useful when a login has that type of layered security. The look and feel seems sort of clunky getting started, but once I got around to creating more and more note cards, one for each account, found it easy to use. The IOS and Mac versions work very well and I can sync my iPad to the data from my laptop or desktop Mac. You never have to put your data file into the cloud while still having the ablitiy to sync between machines (done though your local network), which is a good feature. Autopass Safari app extension now works! 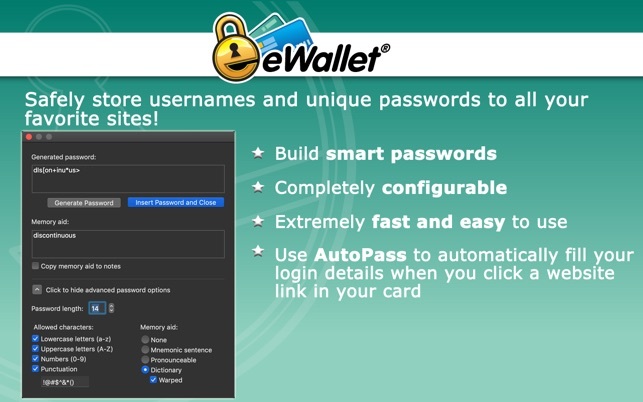 I’ve been using eWallet for years and count on it’s functionality to deal with the insanity of password management and other data tidbits like combination locks and passport numbers etc. 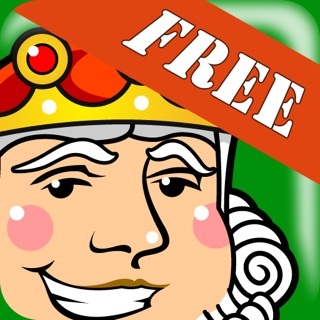 I’m very thankful for this application. Six months ago I switched from Chrome to Safari for issues of tracking which has been surprisingly good. The one hiccup was the Autopass app extension didn’t work in Safari. I’ve messed with it a couple of dozen times and gave up. This morning I saw 8.3.10 was released dealing with this issue. It took a blink of an eye to verify that Autopass now works in Safari. Christmas came very early this year! Thank you for your very kind words! We’re sorry the original Safari extension didn’t work in your case and very glad to hear the brand new Safari App Extension (now bundled with eWallet) is working well.